What is EC? EC, or electrical conductivity, is a measure of the salts in the solution. Since most nutrients are salts, this effectively represents nutrient levels. A different measurement for nutrient levels is TDS, or total dissolved solids. The important difference is that EC is measured in millisiemens per centimeter (mS/cm), while TDS is measured in parts per million (ppm). Either one of these will work, and they’re easy to convert using an online calculator. All hydroponic growers need accurate measurements of nutrient levels (as well as pH and temperature) and will have to buy a meter—or separate meters—for this. Handheld meters often measure pH, EC, and temperature all at once and give you the results on one screen. If you’ve spent time measuring them separately, you can imagine how much faster and easier this would be! We use a handheld meter called a NutriTest not only to keep our other measurements accurate but to read smaller systems that aren’t big enough to warrant an auto-doser like our seedling system. For growers who would rather not invest in an auto-doser, a handheld meter like this is a must-have. Most meters run between $200–$300. This costs the same as a pH pen, EC pen, and thermometer separately, and it will last for a long time (the meter has a 5-year warranty, though probes may need to be replaced before that). We recommend Hanna Instruments, Bluelab, and AutoGrow for water testing equipment. Although the NutriTest has since been discontinued, other handheld meters are offered by companies such as Bluelab and also work well. Here, we run existing NutriTest owners through using their meter. Many handheld meters work similarly. This process is useful for anyone using a handheld meter! The process is simple—calibrate the meter (easy instructions below), then put the probes in the solution and wait a few seconds. The EC meter, which is white and has two sensors on the bottom, can dry out. 2) Rinse the meters in water. You’ll want to keep them resting in the water when you aren’t using them. Calibrating the meters will require calibration solutions. These are solutions with known pH and EC values to act as a reference for the meter. It keeps the meter from straying too far from the actual value. You can get solutions like this one from Hanna Instruments, and you’ll probably only have to buy them once every few years. 3) Calibrate the EC probe using the calibration solution and the “Calibration” button and timer. Navigate to “Calibration” on the meter’s screen and select EC. Put the probe in the 2.77 EC solution and press “Start”. The meter will start a timer; keep the probe under the surface of the solution until the timer is done and calibration is complete. Put it back in the water. 4) Calibrate the pH meter using calibration buffer solutions (you’ll need a pH 4 solution and a pH 7 solution) and the “Calibration” button/timer. You should do this the first time you use the probe and every few times after that. Navigate to “Calibration” on the meter’s screen and select pH. Put the probe in the pH 7 solution and press “Start”. The meter will start a timer; again, keep the probe under the surface of the solution until the timer is done. You’ll be directed to move the probe into the pH 4 solution, and push “Start” again. 5) When the calibration is complete, rinse the meter again. It’s ready to read your solution! 6) To use the meter, turn it on and place the probes into the solution. It will take a few seconds for the EC and pH reading to stabilize, and 1–2 minutes for the probe to reach the same temperature as the solution. 7) When you have the readings, record them! Keeping a water chemistry log is extremely important to diagnose deficiencies and diseases down the road, and is required for many certifications. 8) Adjust your solution as needed based on the measurements you get. If EC is low, mix and add more nutrients (learn how here). You should have ranges decided on for both EC and pH. They will fall somewhere between 0.8 and 2.3 mS for the EC, and 5.5 and 6.7 for the pH. If you haven’t already done a bit of research on the exact EC to maintain for your crops, get started on that. The Recommended Crop List is a great place to start. Remember that you want all of your crops’ ideal ranges to overlap! We recommend Hanna Instruments, Bluelab, and AutoGrow for water testing equipment. Unfortunately, the product used in the video above is no longer sold, but Bluelab offers a similar model that can serve hydroponic growers well. 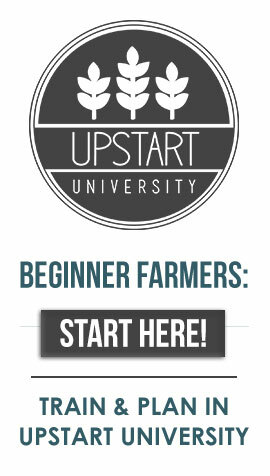 If you have any questions about the NutriTest or how to use it, use the chat in the lower right-hand corner of your screen, or email support@upstartuniversity.net. Should You Use Peat Moss as a Growing Medium? I’m currently running a tiny aquaponics system in my apartment, however I’ve been considering starting up a commercial operation. I’ve been looking around for tools to monitor the various parameters to keep both fish and plants happy – pH, EC, DO, nitrates, nitrites, N, P, K, Ca, Cl, Cu, etc. etc. I found extremely little. In fact, I found only one company – Libelium.com – that provided even a subset of what I wanted. After reading your comments, I would suggest you take a look at what they have, as it can continuously monitor your system and alert you to problems before they become too serious. Note that they have not yet recognized aquaponics as an “application”, therefore you have to “piece together” what you need – just ask them for help as it’s pretty confusing. I have no affiliation nor have I used their products… I simply found them on the web after much googling and I like their claims. Please do your own due diligence. Andrew, thanks for the comment. Most aquaponic testing kits only measure ammonia, ammonium, nitrites, nitrates, and pH. Being able to measure individual nutrients would be certainly be helpful to identifying and avoiding deficiencies, though! Right now the most viable option for growers is to get a lab test of their water, but I know that the tech for an affordable counter-top water test is really close. Thanks for the Libelium – we’ll check them out! can you leave the probes in and just turn it off and on when you want a reading and still not have to calibrate it as often? Hey Andy, nope. You’re going to want to store it in the storage solution that comes with the probes. The storage solution helps protect the reference and working electrodes from corrosion, plating, and other irreversible degradation. Even if you were ok with performing the calibration procedure more often, leaving them in samples for too long will shorten the probes’ already short lifespan.